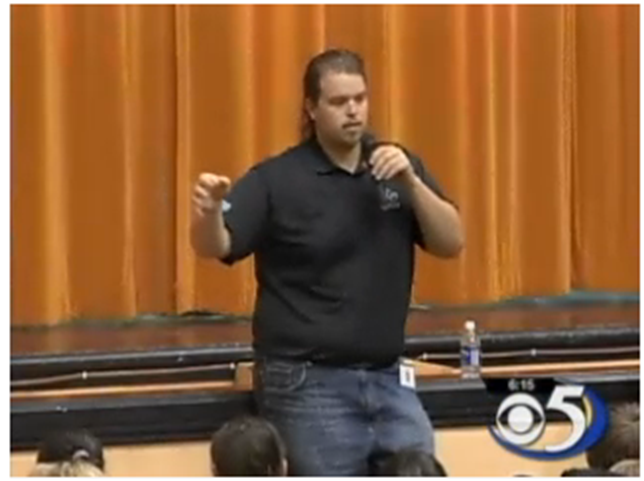 GREEN BAY (WFRV)- Packers Player Mark Tauscher teamed up with Wisconsin’s first lady, Jessica Doyle to encourage kids to read. They stopped in Green Bay at Washington Middle school to issue a twenty by twenty reading challenge to the seventh graders there. The pair asked the kids to read for 20 minutes a day for 20 days in a row in order to keep their minds fresh over the summer. "Jessica and Mark lend some credibility and some excitement to reading, and the more that the students hear that from important people in their lives, which hopefully the governor and his wife are and Mark Tauscher is from representing the Packers, the more that they hear that from influential people, the easier it is for them to internalize,” Amy Bindas the Principal of Washington Middle School says.